One of the first and most important things to consider before letting your cat outdoors is to ensure that they have some form of identification, ideally cats should be microchipped or at least be wearing a safety collar with an Id tag. Risk of infection due to interacting with other cats is now possible, nasty conditions such as enteritis, cat flu and leukaemia can be spread so it is advisable that your cat is fully up to date with their vaccinations before allowing them to explore the outdoors. Whilst your cat is still indoors it is a good time to practice recall, you can encourage this by using a tin with treats inside, shake the tin whilst shouting his/her name. Reward them with a treat when they come to you. 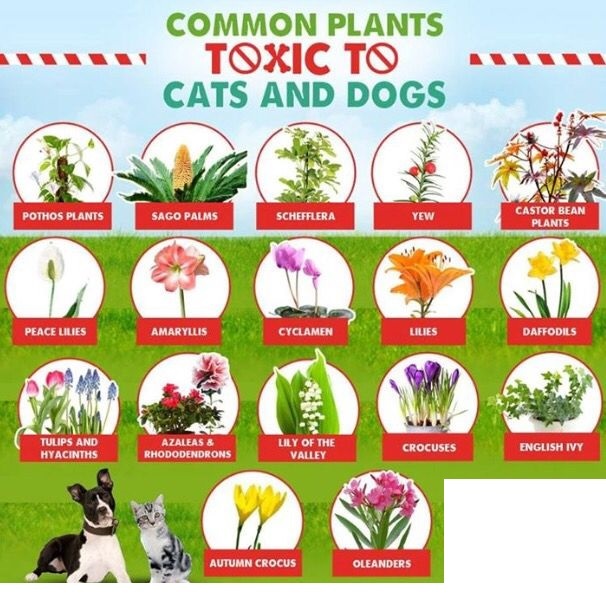 Another useful idea is to spread some of their used cat litter around the edges of your garden, cats as we know are extremely sensitive to smells and this familiar smell may help them to feel safe and help with confidence. As well as informing neighbouring cats there’s a new cat in the area. Cats are cautious by nature, so it’s unlikely they will bolt straight out the door. Most will take their time deciding if it’s safe or not. Do not pick them up and take into the garden be patient. Choose a quiet time of day preferably when the weather is dry. Do not feed your cat as they tend not to roam very far on an empty belly. Open your door and accompany your cat outside, leave the door open so they can retreat quickly to what they know as a safe haven if they feel the need to. Do not be alarmed if they disappear into a nearby bush this is actually a normal strategy in order for them to acclimatise to a new environment. After approximately 20 mins call your cat indoors using your tin if necessary. As each day passes your cat will gain more confidence staying outside for longer periods at one time, learning and having fun displaying their natural behaviour. Blog post written by RVN & Cat Advocate of Bay Vets, Jo McCartney. there are always that small handful that like to cause a bit of carnage!! So how can you stop this from happening? to get through the bank holiday. find a bone shaped needle in a haystack. obstruction is in the upper small intestine. 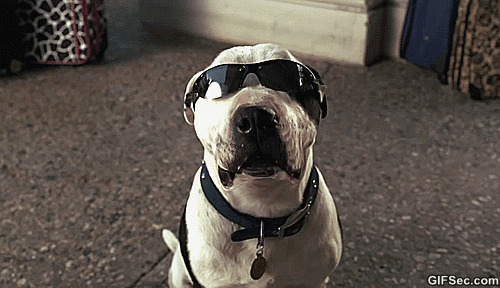 Dogs with partial obstructions may burp and have diarrhoea. in touch with us her at www.bayvets.co.uk. this means on a very high shelf in the spare room under lock and key!! 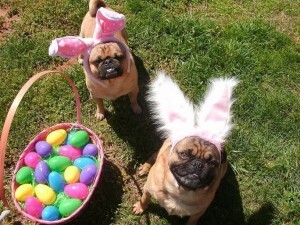 if this makes it easier to get through a vet free Easter. paws but did you know a number of spring flowers are also poisonous? 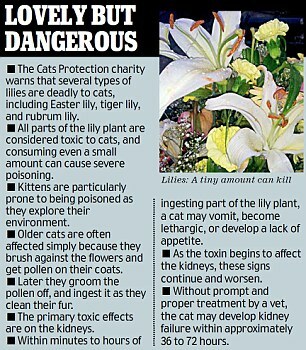 These are highly toxic especially to cats and in most cases can be fatal. 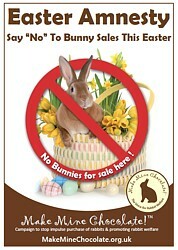 Say NO to the Easter Bunny!! – so here is how to make it safe. they are choking hazards and tummy obstructions waiting to happen. their intestines so we advise ribbons are a NO!! large enough to not get swallowed. and the foil on the egg can cause tares and further internal damage. themselves and use the bin. OWNERS – THEY MAY LOOK CUTE BUT – NO!!! bunnies and bottle brush chicks make much nicer Easter pets. 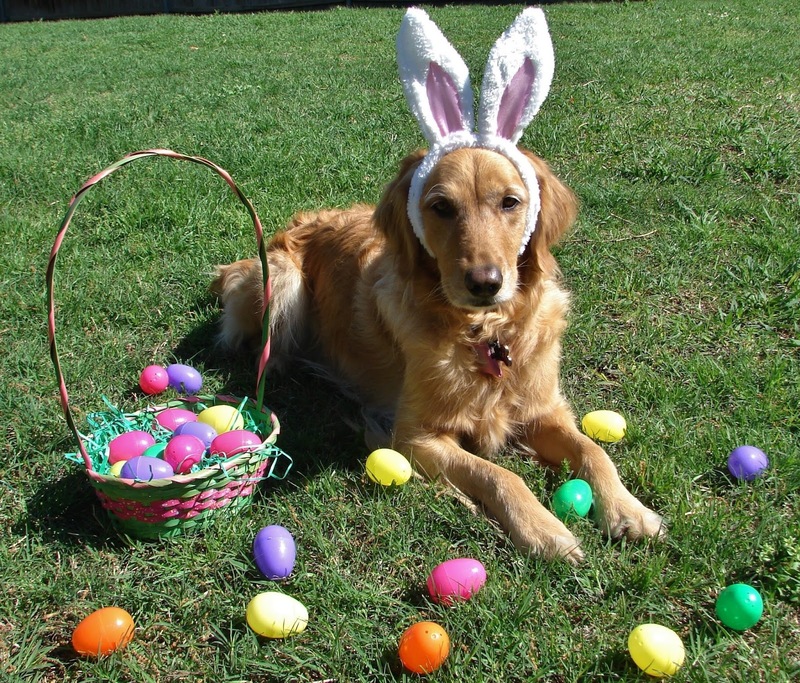 to tell us our huge Easter egg delivery is on its way. So for now I shall leave you to enjoy…………. Two two swans were brought to us via the RSPCA late one evening. (They are not actually a bonded pair.) One had substantial damage to its tongue and the other had damage to its wing. The swan with damage to its tongue, had a hook removed from it by a passing farm vet the day before. The swan was kept in a barn over night to recuperate but in the morning the tongue was very swollen and sticking out of the side of the beak! The RSPCA were called and brought the swan to us for assessment. Our Vet gave the swan a full check over and there were no other injuries and the swan seemed to be healthy. The tongue was so swollen due to infection that it was being pushed out of the beak. The swan was then inadvertently cutting the blood supply off to its own tongue with its beak. The swan was given long acting antibiotics and pain relief and sent to a local rehabilitation centre to recover. We suspect that once the swelling reduces in the tongue the swan will be able to return to normal life and be released back into the wild. Below are some pictures of the swan. The second swan seemed to have a broken wing upon arrival so the vet gave the swan a full examination to ensure there were no other injuries. the swan seemed to be fine other than having a slightly limp wing. The vet could not feel any obvious breaks but we decided to take an x-ray to be sure. A swan cannot be released to the wild if both wings are not fully functioning. Once the swan was settled on the x-ray table we placed a towel over its head to keep it calm and dimmed the lights. The vet studied the x-ray and couldn’t find any obvious reason as to why the wing was limp, there were no breaks. The bird was given some pain relief and sent to a rehabilitation centre along with the other swan to be assessed over the next couple of days. A couple of days past, and we have been updated that the swans have made a full recover and been release back where they were found. A fox came to us from the RSPCA late one evening with reports that it had been attacked by two large dogs. Foxes are renowned for being very vicious and also perfect escape artists therefore we could not examine him conscious. He was brought to us in a large carrier, from what we could see there appeared to be a wound on his back and also blood coming from his mouth, we needed to see whether the wound would need surgical intervention or whether it could be left to heal. We also needed to check on his bleeding mouth. Once asleep the first thing we did was quickly check his mouth, we could not see any injuries and believe the blood may have been from fighting back with the dogs. After this we muzzled the fox as although he was very heavily sedated, if by chance he woke up we did not want to get bitten! On examination of the fox we only found one small puncture wound. The patch that we thought looked like a wound was in fact a very heavily saliva stained patch, possibly from one of the dogs trying to bite the fox. Whilst the fox was asleep we took an x-ray to make sure there were no internal injuries and very luckily nothing abnormal could be seen! We recovered the fox in his carrier and when he was awake we sent him to a local wildlife rescue centre to be monitored for a few days before being released back into the wild. The fox was an adult male and in very good general health, there were a few signs of old injuries that had healed over showing that this probably wasn’t his first altercation…however this time he came away unscathed…lucky Mr Fox! The liver is a vital organ that supports nearly every other organ in the body. Excess fat stored in the liver, fatty liver disease (hepatic lipidosis) decreases liver function and can be life threatening. Overweight cats cannot groom themselves properly. The extra weight makes them less flexible and they just can’t reach all the places that need attention. 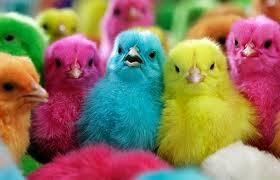 Consequently they may have dry flaky skin and dull fur, even if they have a high quality diet. 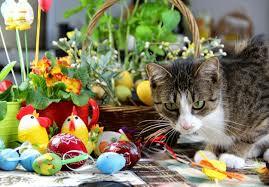 Your vet may suggest a special weight loss diet or simply smaller portions of Kitty’s regular high protein food. Cats are obligate carnivores. Cats just don’t have the ability to digest carbohydrates the way people and dogs do. Cats need protein. Under natural conditions their meals would be small and unpredictable. This is a difficult concept for many humans. Food is equated with love and cats have a way of looking “so hungry” they must need at least a small treat. Free feeding (leaving a full food dish out all day) is the human equivalent of sitting next to a large bag of snack food. Kitty may be eating more due to boredom than because she is hungry. Feeding small meals throughout the day has an added advantage of showing exactly how much is eaten (or not). Follow your vet’s recommendations for portions and number of feedings per day. Weight should be checked at monthly intervals. Toys are a great way to increase activity. But some cats just aren’t interested in catnip. (It is genetically determined and does not mean anything is wrong.) In that case interactive toys (e.g. feathers on a wand), cat furniture for climbing, or even a playmate may help. Tell your vet how much the plump cat weighs. Ask what the ideal weight for that particular cat is. Ask the vet how many calories a day the cat needs to slowly drop the weight. Ask your vet for a realistic time frame for the weight to come off safely. For a chubby cat who needs to lose a few pounds feed that cat in a room separately from the other cats with the door shut. To make this even better – split that cat’s food portion into two bowls. This gives the impression of more food! Allow 20 minutes for all of the cats to eat. Collect the food bowls of the cats in the kitchen first, then the bowl of the cat who’s behind a closed door and let the cat out. A hard process with the separating but a must to prevent tension at mealtimes. With the support of your vet and your time and patience your cat is sure to win slimmer of the year!!!! By the time your cat reaches the age of 10, she’s officially a feline senior citizen. The good news is that many cats today are living into their late teens and even early 20s. With the proper care, a kitty in good health at 10 can easily live another 8, 10, or even 12 years. So there’s no need to panic if your feline companion is getting older, but it is time to start taking some steps to insure your pet stays as happy and healthy as possible throughout her senior and geriatric years. Here we will look at how cats show signs of aging and what you can expect as your kitty gets older. By the time most kitties turn 10, they have slowed down a little (or a lot, depending on how high-energy they were as youngsters). You might notice your cat isn’t jumping up on high surfaces as much anymore, or isn’t climbing to the uppermost spot on the cat tree. And while all cats, regardless of age, do best with a consistent daily routine, older cats can become especially stressed when presented with anything new or different in their environment. You might also notice your kitty doesn’t always run right out to greet you when you get home. 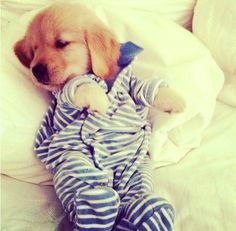 He may not initiate play as often as he once did, and he may take more naps. Many cats also become more vocal as they age, and more fearful of strange or loud noises and unfamiliar people. Older cats can also suffer from many of the same health challenges older humans face, including arthritis, diabetes, thyroid problems, and kidney disease, so it’s really important to bring your cat for twice-yearly wellness visits with your vet. The sooner a change in your kitty’s health is identified and addressed, the easier it will be to resolve or manage the problem. At veterinary visits, be sure to mention any and all behaviour changes you’ve noticed in your cat, no matter how minor, as these can provide important clues about health problems that may be brewing under the surface. It’s also important you and your vet keep regular tabs on your cat’s weight, to assure she isn’t gaining or shrinking over time. From 13 to 15 years of age, not only are most cats moving quite a bit slower than they once did, many are also experiencing at least some loss of vision and hearing.. They may also have less tolerance for cold temperatures. Elderly cats can develop age related dementia, making small changes in their environment or routine increasingly stressful. Some older kitties are also easily confused. Along with more napping and less activity, your senior cat may grow a bit cranky and easily irritated. If your household includes young children or a rambunctious dog, everyone will need to learn to approach kitty in a quiet, non-aggressive manner. And if yours is a multi-pet household, it’s important not to allow your aging cat to be bullied by younger pets who may sense a change in the natural pecking order. You may also notice that your cat prefers to spend more time alone these days. You can enhance his feelings of safety and security by making his favourite hideout a warm, comfy little spot he can retreat to whenever he likes. But keep in mind that senior cats still need to interact with their humans regularly, so set aside some time each day to spend with your pet. You can engage him in gentle play, an ear scratching session, or some brushing or combing. If you’re lucky enough to share your life with a cat of 16 or more, first of all, congratulations! Either you’ve done a bang-up job raising your kitty to a ripe old age, or you’ve opened your heart to an elderly cat in need of a loving home in her final years. Regardless, you did good! As a point of reference, you can reasonably compare your cat at 16 to an 80-year-old human. She’s moving and thinking more slowly these days, and she may have an assortment of age-related health challenges. She’s probably not as alert or responsive as she once was, and at times she may seem quite confused. Even if she’s still in good health, chances are she’s sleeping and vocalizing more, and interacting with family members less. She may not be as perfectly groomed as she was in her younger years, and even the most well-mannered geriatric cat may occasionally forget to use her litter box. As long as your cat is seeing the vet at least twice a year for check ups, and between visits you’re keeping an eye out for significant or sudden behaviour or health changes, there’s no reason to be alarmed. Try not to hover, as your cat is still a cat and prefers attention on her own terms. Do make every effort to keep her comfortable, secure and relaxed by maintaining a consistent daily routine and providing her with a quiet, cosy hideaway equipped with comfy bedding and a familiar toy or two. At your regular vet visits, you’ll want to mention any changes you’ve noticed in your pet, including increased or decreased appetite or water consumption, constipation or incontinence, aggressive behaviour, or mental confusion. You’ll also want to keep an eye out for signs that your cat is in pain, which can include hiding, teeth grinding, panting, shortness of breath, loss of interest in food, or reluctance to move around. Many cats tend to put on weight as they get older and their metabolism slows down. If it reaches the point of obesity, not only is the cat’s quality of life is significantly diminuished but they may be at greater risk of diabetes. Cut back on fatty treats and ask your vet to recommend a calorie controlled diet that will help your cat lose weight without missing out on nutrition. Cats lose mobility as they age, often for the same reasons that people do: arthritis, weight gain, inactivity… Leaving them to lie around won’t help – quite the opposite, in fact, Cats need physical activity throughout their lives, even if it’s more moderate as they get older. To help maintain his muscle tone, agility and circulation, play with your senior cat regularly in ways that will encourage gentle movement. Your cat’s immune system will decline with age and his skin will become thinner, making him more vulnerable to infection. Older cats are also prone to a host of chronic medical conditions, including dental disease, diabetes, Kidney failure, hyperthyroidism, high blood pressure, arthritis and cancer.Expect to spend more time at the vet’s as your cat gets older: check-ups should be more frequent than before, and more thorough. As well as a physical exam, your vet may want to test your cat’s blood, urine and stool at least once a year to check that her kidneys, liver and pancreas are all working as they should. 4. Watching for Behaviour Changes. Elderly cats are also susceptible to senility or feline cognitive dysfunction. The condition can result in a number of undesirable behaviours, including peeing outside the litter box, meowing excessively, avoiding interaction, failing to recognise familiar surroundings and wandering aimlessly. There’s no cure for cognitive dysfunction, so follow your vet’s recommendations for managing the condition and be as patient as you can: it really isn’t your cat’s fault. Older cats will appreciate a helping hand. Think about ways you can make your cats life more comfortable, by relocating food bowls to a spot that he can get to without climbing or jumping, for instance, choosing a litter tray with lower sides that’s easier to enter, or providing a warm, comfy bed. Senior cats often find it difficult to groom themselves, especially if they have joint problems. You can help by brushing your cat daily from head to tail, and trimming his claws if he can no longer keep them short by using his scratching post. I Promise – This old cat. Chances are your cat will be exposed to fleas and the diseases these insects carry at some time in his life. Not only can fleas be extremely irritating for both you and your pet, but bites can lead to the serious skin condition flea allergy dermatitis (FAD), and blood loss and anaemia in kittens. Fleas can also carry tapeworm, an intestinal parasite. Once these irritating insects have found their way onto your pet they will take a bite and mate. Within 36 to 48 hours, the female will start to lay her eggs which will then fall off and develop into larvae, pupae and finally into adult fleas on the sofa, in the carpet and even in your bed! Treating your pet with a product that stops fleas laying viable eggs will mean you won’t end up trying to chase possibly hundreds of larvae around the house. However, if your pet has an existing heavy flea infestation it will be necessary to treat him with a product to kill them. Discovering fleas on a pet is unpleasant but adult fleas on a host may represent only five per cent of the whole infestation. The other 95 percent consists of eggs and larvae which can be spread throughout the house. It is therefore essential to also treat your house. If the home isn’t treated fleas will jump back onto the cat and re-infest it. Say Cheese……………..Its Pet Dental Month!! The pout is out…..and this February the SMILE is back. Yes at Bay Vets it is Pet Dental Month!!! So here is a blog sized guide as to how you can enhance your pets Hollywood smile and ensure they are fit enough to don the blue and white striped pyjamas and join the little chap on the aquafresh advert! As always there is always somebody on the other end of the phone to answer any oral hygiene questions or you can make an appointment to see one of our experienced Vets or Nurses to check your pets pearls. Hopefully this will help you prevent the need for dental surgery ever happening to your pet. Sometimes a nice hair-cut and good manicure is all it takes to have you feeling your very best. But did you know a little tidy-up is often all your companion needs to feel great too? It has been proven that pampering pets can have a positive effect. Simply de-matting a cat’s fur, clipping your rabbit’s claws or cleaning your pooch’s ears can have them feeling brand new in no time; and that’s where we can help. Twas the night before Christmas, and all through Bay Vets. 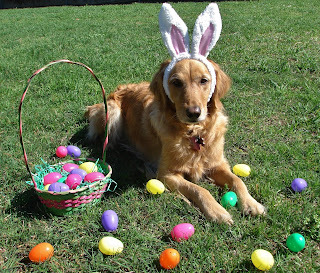 Festivities were starting for our Clients and Pets. Our on call Vets phone was ready in his hand,for the Christmas emergencies that were about to land.